Algeria (Arabic: الجزائر‎‎ al-Jazā'ir; Berber: Dzayer, ⴷⵣⴰⵢⴻⵔ; French: Algérie), officially the People's Democratic Republic of Algeria, is a sovereign state in North Africa on the Mediterranean coast. 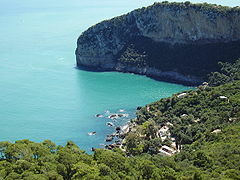 Its capital and most populous city is Algiers, located in the country's far north. With an area of 2,381,741 square kilometres (919,595 sq mi), Algeria is the tenth-largest country in the world, and the largest in Africa. 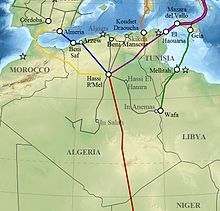 Algeria is bordered to the northeast by Tunisia, to the east by Libya, to the west by Morocco, to the southwest by the Western Saharan territory, Mauritania, and Mali, to the southeast by Niger, and to the north by the Mediterranean Sea. The country is a semi-presidential republic consisting of 48 provinces and 1,541 communes (counties). Abdelaziz Bouteflika has been President since 1999. During the Middle Ages, North Africa was home to many great Scholars, Saints, and Sovereigns including Judah Ibn Quraysh the first grammarian to suggest the Afroasiatic language family, the great Sufi masters Sidi Boumediene (Abu Madyan) and Sidi El Houari, as well as the Emirs Abd Al Mu'min and Yāghmūrasen. It was during this time period that the Fatimids or children of Fatima, daughter of Muhammad, came to the Maghreb. These "Fatimids" went on to found a long lasting dynasty stretching across the Maghreb, Hejaz, and the Levant, boasting a secular inner government, as well as a powerful army and navy, primarily made of Arabs and levantians extending from Algeria to their capital state of Cairo. The Fatimid caliphate began to collapse when its governors the Zirids seceded. 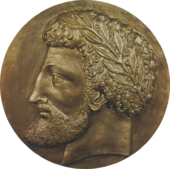 In order to punish them the Fatimids sent the Arab Banu Hilal and Banu Sulaym against them. The resultant war is recounted in the epic Tāghribāt. In Al-Tāghrībāt the Amazigh Zirid Hero Khālīfā Al-Zānatī asks daily, for duels, to defeat the Hilalan hero Ābu Zayd al-Hilalī and many other Arab knights in a string of victories. The Zirids, however, were ultimately defeated ushering in an adoption of Arab customs and culture. The indigenous Amazigh tribes, however, remained largely independent, and depending on tribe, location, and time controlled varying parts of the Maghreb, at times unifying it (as under the Fatimids). The Fatimid Islamic state, also known as Fatimid Caliphate made an Islamic empire that included North Africa, Sicily, Palestine, Jordan, Lebanon, Syria, Egypt, the Red Sea coast of Africa, Tihamah, Hejaz, and Yemen. Caliphates from Northern Africa traded with the other empires of their time, as well as forming part of a confederated support and trade network with other Islamic states during the Islamic Era. There reigned in Ifriqiya, current Tunisia, a Berber family, Zirid, somehow recognizing the suzerainty of the Fatimid caliph of Cairo. Probably in 1048, the Zirid ruler or viceroy, el-Mu'izz, decided to end this suzerainty. The Fatimid state was too weak to attempt a punitive expedition; The Viceroy, el-Mu'izz, also found another means of revenge. 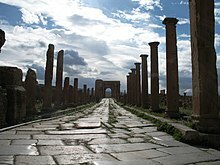 The flood was still rising and in 1057, the Arabs spread on the high plains of Constantine where they gradually choked Qalaa of Banu Hammad, as they had done Kairouan few decades ago. From there, they gradually gained the upper Algiers and Oran plains, some were forcibly taken by the Almohads in the second half of the 12th century. We can say that in the 13th century there were in all of North Africa, with the exception of the main mountain ranges and certain coastal regions remained entirely Berber. In 1671, the taifa rebelled, killed the agha, and placed one of its own in power. The new leader received the title of dey. After 1689, the right to select the dey passed to the divan, a council of some sixty nobles. It was at first dominated by the ojaq; but by the 18th century, it had become the dey's instrument. 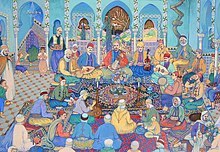 In 1710, the dey persuaded the sultan to recognize him and his successors as regent, replacing the pasha in that role, although Algiers remained a part of the Ottoman Empire. 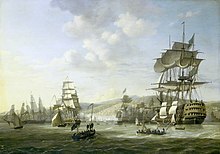 Between 1609 and 1616, England lost 466 merchant ships to Barbary pirates. Under the pretext of a slight to their consul, the French invaded and captured Algiers in 1830. Algerine slave trade and piracy ceased when the French conquered Algiers. The conquest of Algeria by the French took some time and resulted in considerable bloodshed. A combination of violence and disease epidemics caused the indigenous Algerian population to decline by nearly one-third from 1830 to 1872. [unreliable source?] 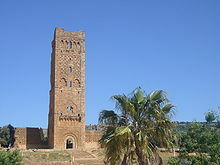 The population of Algeria, which stood at about 1.5 million in 1830, reached nearly 11 million in 1960. French policy was predicated on "civilizing" the country. Algeria's social fabric suffered during the occupation; literacy plummeted. During this period, a small but influential French-speaking indigenous elite was formed, made up of Berbers, mostly Kabyles. As a consequence, French government favored the Kabyles. About 80% of Indigenous schools were constructed for Kabyles. 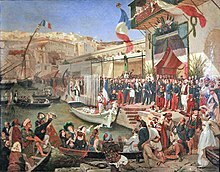 From 1848 until independence, France administered the whole Mediterranean region of Algeria as an integral part and département of the nation. One of France's longest-held overseas territories, Algeria became a destination for hundreds of thousands of European immigrants, who became known as colons and later, as Pied-Noirs. Between 1825 and 1847, 50,000 French people immigrated to Algeria. [page needed] These settlers benefited from the French government's confiscation of communal land from tribal peoples, and the application of modern agricultural techniques that increased the amount of arable land. Many Europeans settled in Oran and Algiers, and by the early 20th century they formed a majority of the population in both cities. Gradually, dissatisfaction among the Muslim population, which lacked political and economic status in the colonial system, gave rise to demands for greater political autonomy, and eventually independence from France. Tensions between the two population groups came to a head in 1954, when the first violent events of what was later called the Algerian War began. Historians have estimated that between 30,000 and 150,000 Harkis and their dependents were killed by the Front de Libération Nationale (FLN) or by lynch mobs in Algeria. The FLN used hit and run attacks in Algeria and France as part of its war, and the French conducted severe reprisals. The war led to the death of hundreds of thousands of Algerians and hundreds of thousands of injuries. 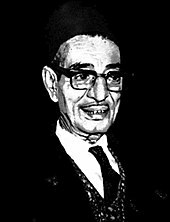 Algeria's first president was the Front de Libération Nationale (FLN) leader Ahmed Ben Bella. Morocco's claim to portions of western Algeria led to the Sand War in 1963. 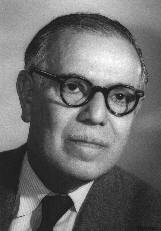 Ben Bella was overthrown in 1965 by Houari Boumediene, his former ally and defence minister. Under Ben Bella, the government had become increasingly socialist and authoritarian; Boumédienne continued this trend. But, he relied much more on the army for his support, and reduced the sole legal party to a symbolic role. He collectivised agriculture and launched a massive industrialization drive. Oil extraction facilities were nationalized. 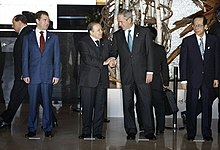 This was especially beneficial to the leadership after the international 1973 oil crisis. In the 1960s and 1970s under President Houari Boumediene, Algeria pursued a programme of industrialisation within a state-controlled socialist economy. Boumediene's successor, Chadli Bendjedid, introduced some liberal economic reforms. He promoted a policy of Arabisation in Algerian society and public life. Teachers of Arabic, brought in from other Muslim countries, spread conventional Islamic thought in schools and sowed the seeds of a return to Orthodox Islam. 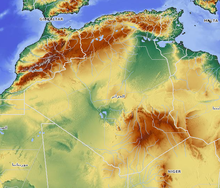 The Sahara, the Ahaggar and the Atlas mountains compose the Algerian relief. Indigenous Berbers as well as Phoenicians, Romans, Byzantines, Arabs, Turks, various Sub-Saharan Africans, and French have contributed to the history of Algeria. Descendants of Andalusian refugees are also present in the population of Algiers and other cities. Moreover, Spanish was spoken by these Aragonese and Castillian Morisco descendants deep into the 18th century, and even Catalan was spoken at the same time by Catalan Morisco descendants in the small town of Grish El-Oued. There are 600,000 to 2 million former Algerian Turks, descendants of Turkish rulers, soldiers, doctors and others who ruled the region during the Ottoman rule in North Africa. Today's Turkish descendants are often called Kouloughlis, meaning descendants of Turkish men and native Algerian women. 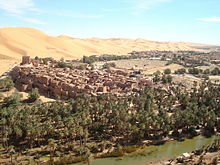 Berber has been recognized as a "national language" by the constitutional amendment of 8 May 2002. 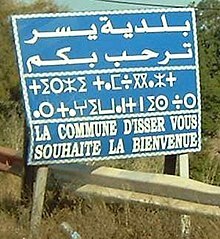 Kabyle, the predominant Berber language, is taught and is partially co-official (with a few restrictions) in parts of Kabylie. Algeria has given the Muslim world a number of prominent thinkers, including Emir Abdelkader, Abdelhamid Ibn Badis, Mouloud Kacem Nait-Belkacem, Malek Bennabi, and Mohamed Arkoun. According to the European Audiovisual Observatory's LUMIERE database, 41 Algerian films were distributed in Europe between 1996 and 2013; 21 films in this repertoire were Algerian-French co-productions. (Days of Glory) (2006) and Outside the Law (2010) recorded the highest number of admissions in the European Union, 3,172,612 and 474,722, respectively. Algeria won the Palme d'Or for Chronicle of the Years of Fire (1975), two Oscars for Z (1969), and other awards for The Battle of Algiers. The first Algerian and African gold medalist is Boughera El Ouafi in 1928 Olympics of Amsterdam in the Marathon. The second Algerian Medalist was Alain Mimoun in 1956 Summer Olympics in Melbourne. Several men and women were champions in athletics in the 1990s including Noureddine Morceli, Hassiba Boulmerka, Nouria Merah-Benida, and Taoufik Makhloufi, all specialized in middle distance running. Cakes are marketed and can be found in cities either in Algeria, in Europe or North America. However, traditional cakes are also made at home, following the habits and customs of each family. Among these cakes, there are Tamina, Chrik, Garn logzelles, Griouech, Kalb el-louz, Makroud, Mbardja, Mchewek, Samsa, Tcharak, Baghrir, Khfaf, Zlabia, Aarayech, Ghroubiya and Mghergchette. Algerian pastry also contains Tunisian or French cakes. Marketed and home-made bread products include varieties such as Kessra or Khmira or Harchaya, chopsticks and so-called washers Khoubz dar or Matloue. Other tradionel meals (Chakhchokha-Hassoua-T'chicha-Mahjouba and Doubara) are famous in Biskra. Even if some of them offer instruction in Arabic like areas of law and the economy, most of the other sectors as science and medicine continue to be provided in French and English. Among the most important universities, there are the University of Sciences and Technology Houari Boumediene, the University of Mentouri Constantine, University of Oran Es-Senia. The University of Abou Bekr Belkaïd in Tlemcen and University of Batna Hadj Lakhdar occupy the 26th and 45th row in Africa.